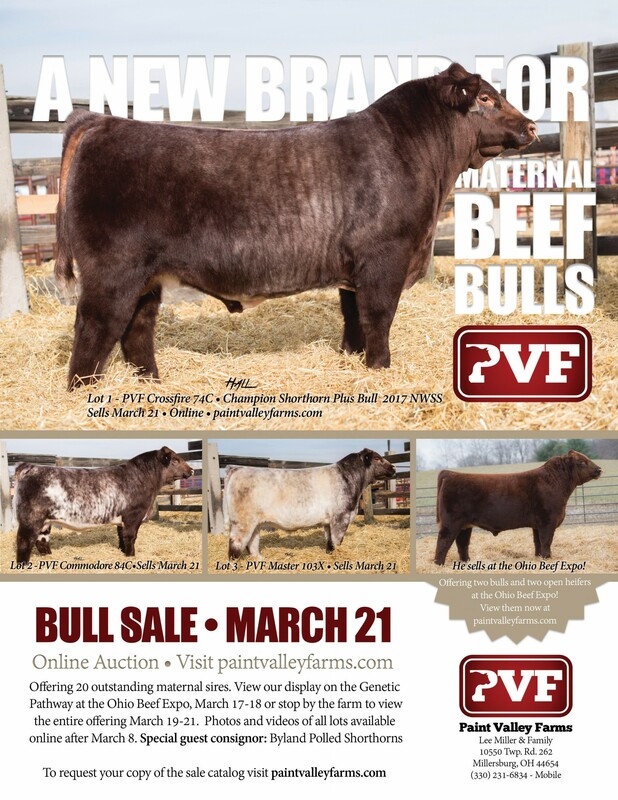 Welcome to Paint Valley Farms - the new brand for Maternal Shorthorn beef bulls. Over the past decade, our focus on producing quality beef cattle with consistency led us to acquire some of the most impressive maternal sires in the Shorthorn breed. This strategy is leaving us with a cowherd that is sound, functional, easy-keeping, easy-calving, and just all-around good stock. Our bull sale will be March 8, 2018. Take a look around the farm on our website, then give us a call and come by for the real tour! We know you’ll enjoy them as much as we do!